I have a Rossi in 38/357 and several revolvers to go with it......love my Rossi and the wife has declared it hers as she shoots it so well. I have a Ruger 44 mag Deerslayer rifle and a .44 mag handguns. I have a .45 carbine, and .45 handguns. I have 9mm rifles and 9mm handguns. Everyone has .22lr handguns and rifles , at least I think they do. I got a Ruger PC Carbine in 9mm for Christmas, it's going to be paired with my Glock 19 for now, probably a G34 in the future. Guess that makes three for me if I count the .44 mag! I do have a lever action in 45 Long Colt and a pistol. i had a camp carbine in 9mm, sold it. 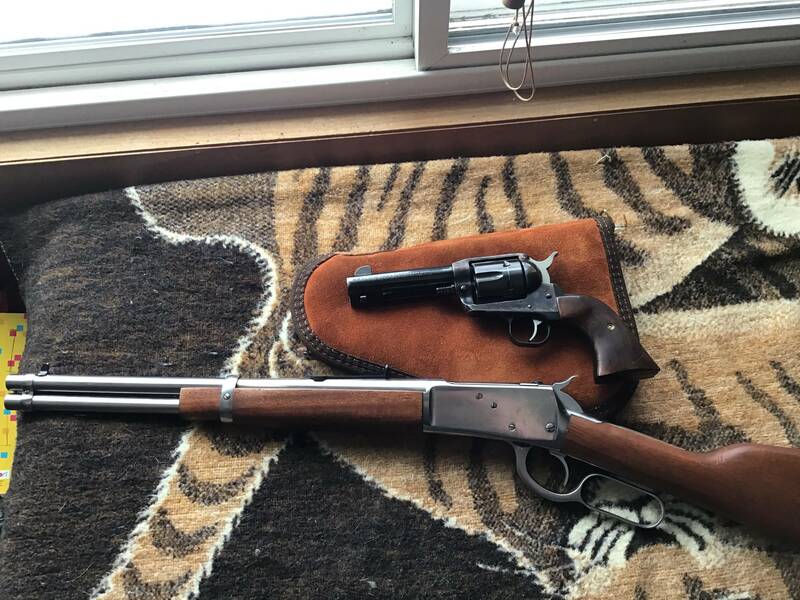 Rossi lever action and Ruger Blackhawk in 45 Long Colt . I have a 22-250 in both and the obligatory 22 RF's. Oddly enough in the RF area I have LR and some dedicated 22 Short versions. Completely spaced. I have a 223 pistol and a rifle or two. Only the 22s..back in the 80's when I bought my 5906 for work I wanted a Marlin camp rifle because it too was 9mm and even used the same magazines, but, alas, no money..
She was pissed at me because I passed up a stainless Rossi in 357 at the gun show last week, so she dragged me out yesterday to see if it was there, the only thing I saw that was cool was a Ruger 10/22 in 22 magnum, but the guy wanted 1100 for it . You have a 22-250 pistol? Is it a Contentder style or XP? Custom XP. 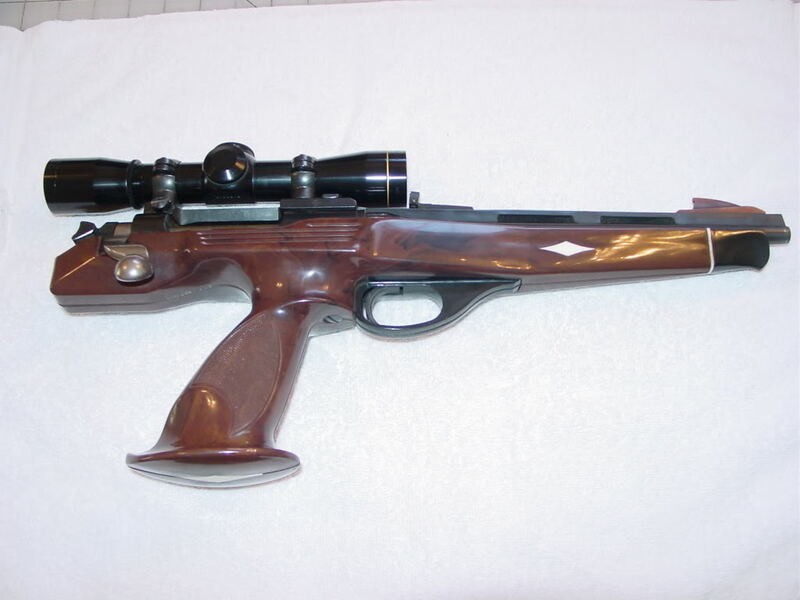 The 223 is a rechambered XP.